Menopause is defined by the World Health Organization (WHO) and the Stages of Reproductive Ageing and Workshop (STRAW) working group as the permanent cessation of menstrual periods that occurs naturally or is induced by surgery, chemotherapy, or radiation. Natural menopause is recognized after 12 consecutive months without menstrual periods that are not associated with other causes. Although surprising, it is interesting to note the plethora of complaints that menopausal women present with all over the world. In the US, UK, and the United Arab Emirates, hot flushes are the most common symptom reported, while women from Japan, India, and Singapore suffer mostly from joint pain. A postmenopausal woman should take into her stride the fact that menopause is a change in life, and not the end of life. Support groups should be functional in counseling these women who often face menopause in the midst of many other crises in life, like elderly parents and grown-up children leaving their nests empty to move ahead in life. 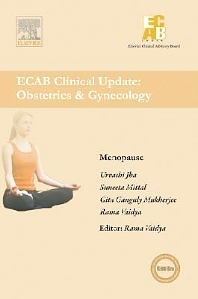 Menopause is best tolerated when it is already anticipated, and social workers, doctors, and other paramedical personnel should all join hands in providing the necessary information, education, and communicating with these women at their hour of need. Dean, Medical Research Center, A Mumbai Unit of Kasturba Health Society, Mumbai. Research Director, Reproductive Medicine, BSES M.G. Hospital & Research Centre, Mumbai.